Scots are being asked to share their opinion on the country’s digital future, as the Scottish Government prepares to update its strategy on connecting the nation. Ideas and contributions are being sought in six main areas: connectivity, economy, skills, public services, participation and cyber security. The current Scottish Government Digital Strategy was published in 2011. 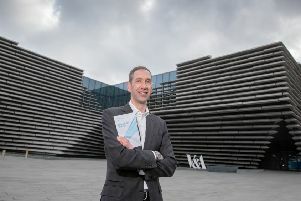 It outlined the steps to be taken to “ensure that Scotland was well positioned to take full advantage of all the economic, social and environmental opportunities offered by the digital age”, especially in four main areas – public service delivery, the digital economy, digital participation and broadband connectivity. The underlying vision was for Scotland to be a “world-class digital nation” by 2020. Contributors are asked to consider whether this is still a realistic target in 2016. The closing date for contributions is November 24, with the strategy itself being published early next year. Visit the Government’s website for more details on how to take part.